I thought I’d give a try to making bagels since it is something we tend to get fairly regularly and you-know-who seems to forgo the wonder-bread like qualities that tends to be lacking in the other loaves I’ve made. The bagels you see below are made following the sourdough bagel recipe found on the recipe page here; the original recipe was from Mike Avery’s SourdoughHome.com. I should probably note that these are not my very first batch. I’ve tried two other recipes recently and the results weren’t quite as good as the above. 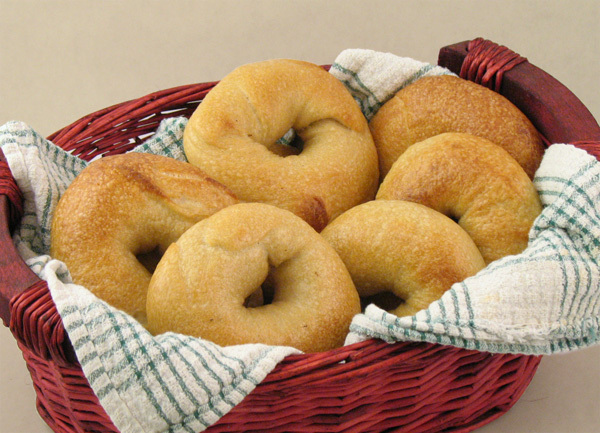 In the first attempt, the dough did not rise well and the bagels came out small and rather flat. The second recipe called for a long, overnight stay in the refrigerator and developed better flavour (it called for malt extract which I’ve finally located at a brew-your-own shop). But although better tasting, they were still a little on the brick side. Now that may well have been something I did, they were the second attempt after all. These sourdough bagels came out a little lighter though still dense. And the original Avery recipe makes each bagel 4 oz (125g) a little bigger than the previous recipes I tried. 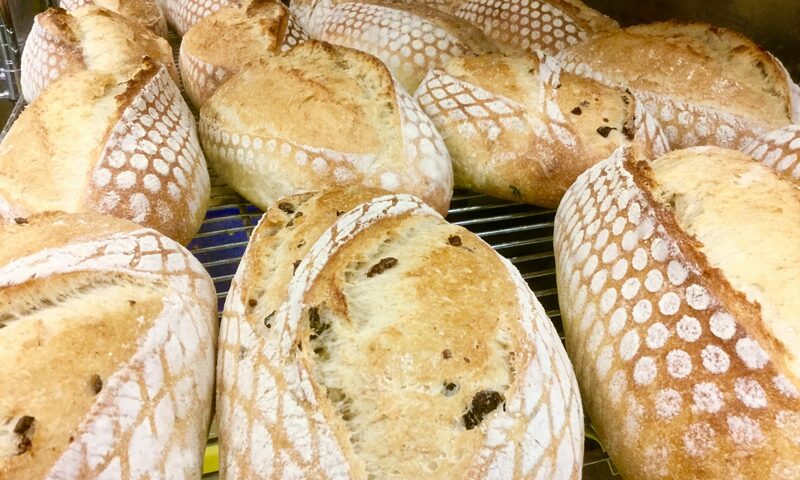 We’ll see how these come out after a day or two since sourdough does get better tasting after the first couple of days. If they’re good, I’ll up the production to 16 (two shelves in the oven) since we’ll probably scarf these down pretty darn quick. And two days worth of prep doesn’t feel worthwhile for just a small handful, may as well make enough to freeze a few while we’ve got the kitchen coated in flour.